As one of the best gutter repair companies in Freeport, Florida and the surrounding areas, we have seen it all when it comes to gutter problems. Gutters are an essential part of a home, yet many homeowners do not realize their importance and tend to neglect them, often causing extensive damage to their home. What many homeowners do not realize is that the purpose of gutters is to direct water away from the foundation of a home. In order to protect your foundation and the structural integrity of your home, your gutter system must be working properly. Avoiding maintenance and cleanings will likely leave you paying for more than just a new gutter system. Of course, all homeowners should want to protect their gutters and keep them in the best condition and the first step to preventing these problems is being aware of them in the first place, and in this blog, we are going to review some of the most common gutter problems we are called to fix. If you have clogged gutters, you should contact your local gutter cleaning company. 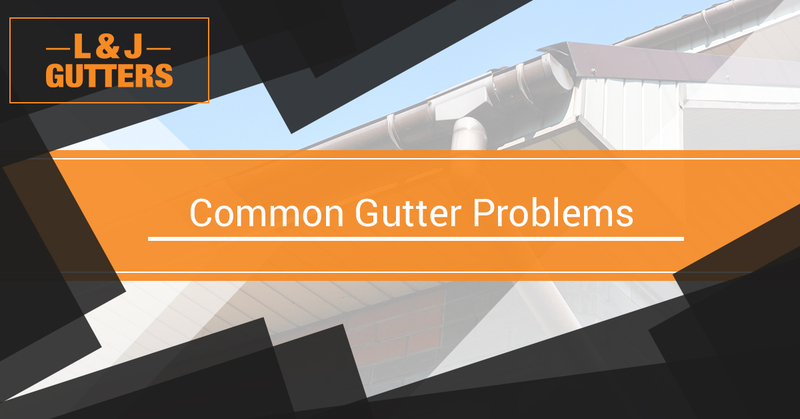 Another bothersome issue with gutters that homeowners come across is leaking gutters. Depending on the size of the hole or crack in your gutter, it needs to be sealed with caulk or covered with a patch. Although it may seem like an easy fix, a professional gutter inspector will know where to look for these types of leaks and how to take care of them promptly. In order for gutters to work efficiently and properly flow water away from the foundation of your home, they must be properly pitched towards the downspout. The recommended pitch grade for gutters is one-fourth of an inch for every 10 feet. The best way to measure the pitch of your gutters is to look for standing water after a rainstorm. If your gutters look clear and free of debris and there is still standing water, it is likely that you have a pitch problem. If your gutters appear to be pulling away from your home or sagging, it is likely that they either need new hangers installed or they are old and you will need to consider gutter replacement. Although this is easy when it comes to gutter repair, your best bet is to call a professional gutter contractor that has experience with gutter repair. Oftentimes, the weight of the gutters may simply be too much for the hangers. If your gutters are filled with debris and standing water, they will be heavier and cause them to pull or sag away from your home. When it comes to these problems, many residential homeowners will want to try to fix them on their own. However, without the proper knowledge, experience, and equipment, it is recommended that you leave the work to the professionals. By hiring a reputable gutter company, you’ll save money and gain peace of mind knowing that your gutters are completely and professionally repaired. If you ever experience these issues with your gutters and require gutter repair, you can rely on L&J Gutters! We provide gutter repair in Freeport and throughout Walton, Okaloosa and Bay County! To learn more about our gutter repair services or to request a free quote, contact the experts at L&J Gutters.